With the new year comes new products and 2010 is going all out with some sweet New baby products! A few months back we visited the ABC Kids Expo in Las Vegas and we were impressed with what companies had been pouring their hearts and souls into this last year. Whether your a highly fashionable mama looking for modern decor or a first time mama looking for the best the industry has to offer, today’s manufactures know what parents want and in 2010 their going to deliver! I even foresee some sweet baby deals! We’ve had our eye on a few sweet baby products for some time now and it’s time we shared these secret little gems with you! So graba sippy cup with milk, pull up a seat and see what’s on the list of Hot baby products to watch for in 2010! The highly stylized, yet functional Zooper To Go High Chair will have parents everywhere leaping with joy! If your short on space or just want a full size high chair that can compactly fold up and be tossed in the car for a quick trip to grandma’s house, the Zooper To-Go has you covered! Rated for children 6 mons. to 45lbs. this high chair To-Go chair will ring in easy on your pocket book with a retail price of just $129.99! 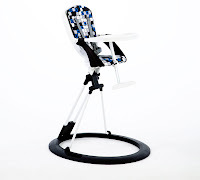 Keep an eye out for the release of this modern high chair with today’s parents in mind! Micralite is set to release the Micralite Super-lite in the coming months and I have to say were pretty stoked about this release! The Micralite Toro was just rated #1 luxury stroller on the market, so were eager to see what Micralite has in store with the lightweight super-lite. Weighing in at just 14 pounds, Micralite has created a stroller with all the features of a full-size stroller but the functionality of an umbrella stroller and a super compact fold. The Super-lite will be available in five different colors with seat liners to match. The superlite will ring in at $330 and seat liners will be sold separately. If it’s a bold design your going for, then you’ll want to check ou the Brand New Ray Collection by Muu! We have been long time fans of Muu’s original and modern design and the new line promises lower prices with the same quality, simplicity and grace that it’s consumers have come to expect. 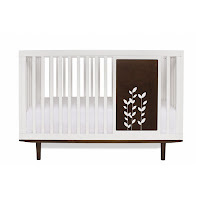 Made from solid maple, recycled woods and our favorite part; the design panels that can be changed at any time, the Ray Collection is sure to have parents and babies everywhere sleeping and chillin’ in style! The Ray Collection by Muu will include a crib, toddler conversion kit, dresser, multi-function storage unit and changing tray that can fit either the dresser or storage unit and is available in hazelnut, white or white with hazelnut legs along with MuuPanel options. Prices range from $795-$925 per piece. Clek Oobr hit the scene in 08′ and is gaining swift popularity with parents everywhere! This isn’t necessarily a baby product per say, as this is for munchkins 33lbs and up, however we really felt that this booster seat deserved a sweet mention! Oobr is a full back booster seat that is uniquely designed to provide all around protection and comfort for kids 33-100 lbs. The Clek Oobr is setting a new standard in booster seats with the first ever magnesium back frame, rigid LATCH system and steel headrest structure with deep side wings, keeping little one’s safe and offering parents everywhere peace of mind! Our favorite part is the wide range of fabrics from plain to flashy, like the Paul Frank design that we have personally fallen in love with! Clek Oobr starts at just $239 and is available online and at local retailers. mamaRoo by 4moms was inspired by parents natural motion of swaying back and forth. Unlike the bouncy seats we’ve seen thus far, the mamaRoo is the only seat that moves up and down and side to side, creating a natural environment as close to mom and dad’s arms as you can get! The innovative mamaRoo offers 5 different motions with 5 different speeds offering baby a wide range of shakin’ and movin’ to get used to. 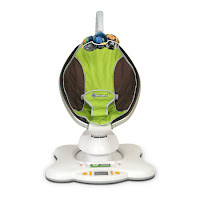 This groovin’ seat offers 5 built-in nature sounds and a hook-up for your MP3 player, because baby’s got some moves I’ve bet you’ve never seen before! We love that the fabric is easy to remove and comes in 6 vibrant colors. mamaRoo will be available for pre-order on February 26thand will retail for $199.95! Well there you have it! 5 Hot and oh-so New Baby Products you’ll want to watch out for in 2010! We think they may have the makings to make it into our Best Baby Products in 2010 post, but we’ll have to sit tight and see! Visit the sites, get familiar with the products and add em’ to that registry. And don’t forget to check back often, we have some upcoming reviews on a few of these HOT products and you won’t want to miss what we have to say! Wow these just blew my mind! especially the stroller! It is harder than people think to find a stroller especially if you have two kids. I like the mamaRoo so much, its very amazing baby products since it can move in many direction. Its seems like a high technology swings for babies.